Good morning! Turns out this Fueling Friday thing isn’t as original as I thought. I have been seeing High Five for Friday posts EVERYWHERE! I thought I would join in the fun! Thanks for the link up Lauren. 1. Halloween Costumes. Jeff and I dropped the ball on Halloween costumes this year so I thought I would share some of my favourite from past years. 2. Scary Movies. My all time favourite thing to do on a Saturday night is watch a scary movie with our friends and eat ice cream. In the summer we can do this outside by the fire. Every other season we have to settle for the basement. Last week we watched The Conjuring. This movie actually scared the crap out of me and I loved it. 3. Halloween Movies From Your Childhood. I managed to watch all three of these this year. 4. Discount Candy… the day after Halloween. 5. Count Down to Christmas. The end of Halloween means the Christmas season is just around the corner. If they haven’t started already, retailers are bringing in the red and green. It is now officially acceptable to put up Christmas lights and start making plans! We have a super busy weekend planned. HAPPY FRIDAY! Do you like scary movies? See any REALLY scary ones lately? 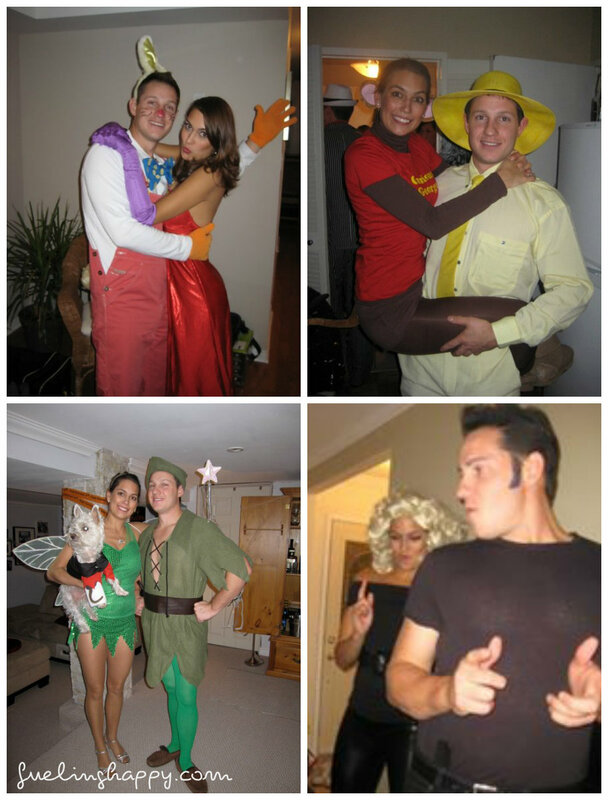 I love your Curious George couple costume! Too funny!